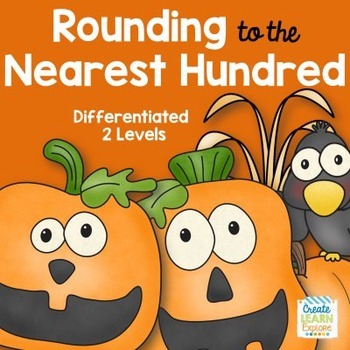 Rounding to the Nearest Hundred Differentiated: Students will enjoy practicing rounding to the nearest hundred with these adorable pumpkin faces. 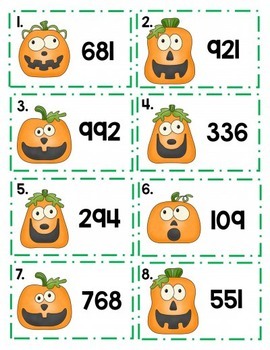 There are 24 cards using 3-digit numbers. Students can record their answers on the recording sheet that is provided. 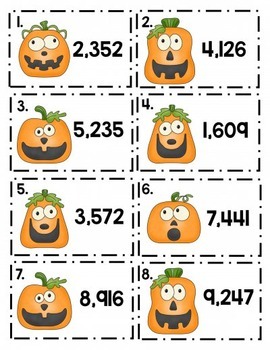 There are 24 cards using 4-digit numbers. 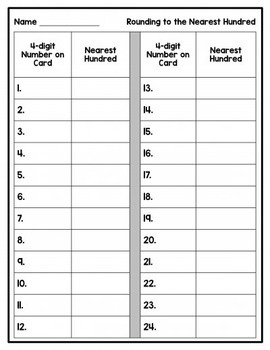 Students can record their answers on the recording sheet that is provided.